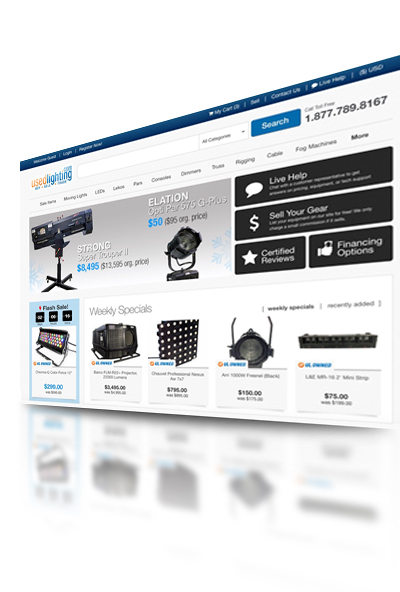 The 4Wall sales division carries a large nationwide inventory including both new and used lighting and video equipment. As a dealer for the industry’s top manufacturers of moving lights, dimming, consoles, projectors, screens, and much more, we can provide affordable lighting and video options for any venue or production. 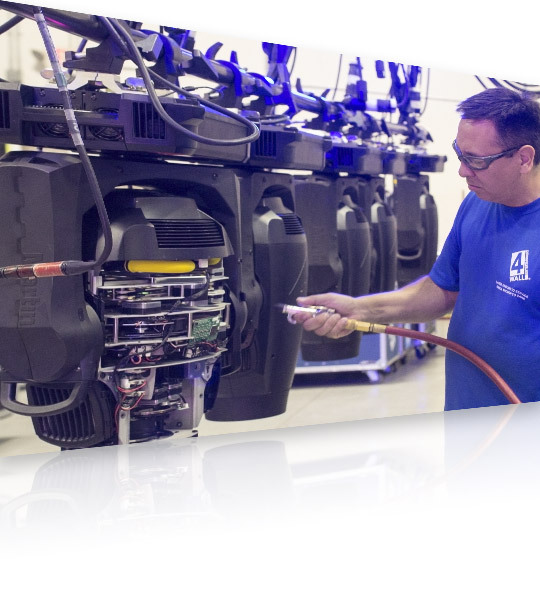 From full lighting, rigging, and video packages to a few sheets of gel, every sales experience with us includes the full support and advice of a nationwide team of lighting and video experts. 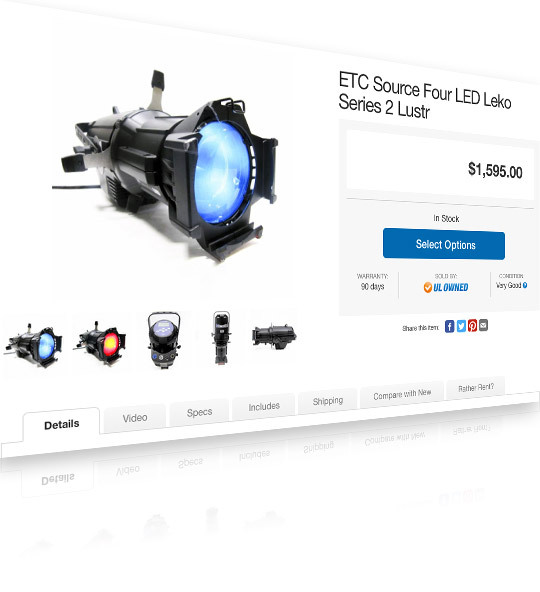 4Wall sells used lighting and video gear directly from our nationwide inventory. That means certified technician maintained equipment that meets our demanding rental standards for durability, aesthetics, and performance. We also carry new equipment from top brands at affordable prices. In addition, our nationwide locations stock the newest expendables gel, gaff tape, fog fluid, and more to make sure the show goes on. 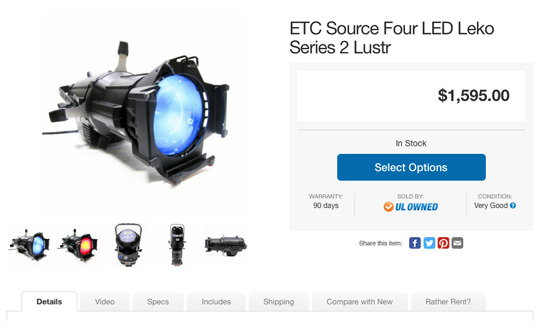 Beginning with your first quote, we focus on building a relationship with you and your team so we can assist you in finding the perfect lighting gear for your production or venue. 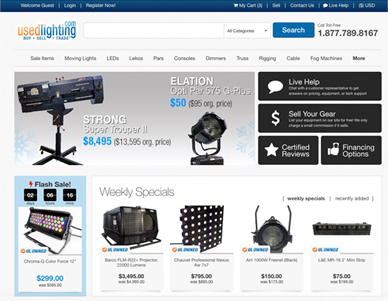 UsedLighting.com is a division of 4Wall that provides a safe place for buying and selling quality used stage lighting and video equipment. The site carries our technician maintained inventory, including unparalleled warranties and customer service, all in a simple to use e-commerce experience. We also carry brokered items from our nationwide community of members. Each of our listings on UsedLighting.com and NewLighting.com tell you far more than the price of the item. Every product page is jam packed with features, videos, spec sheets, and even useful accessory suggestions to help you make an informed purchase. NewLighting.com is the sister-site to UsedLighting.com, and carries brand new unopened fixtures and accessories from top manufacturers. You can purchase new and used items from both sites in the same cart and check-out online quickly and easily. 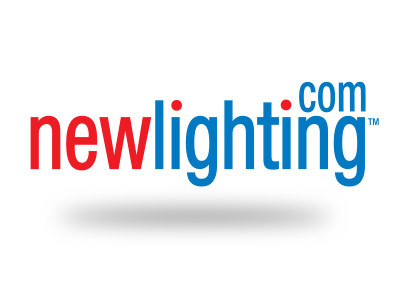 You can also rest assured all purchases from NewLighting.com include all applicable manufacturer warranties, as well as the full customer service and support of 4Wall!